Two iconic rock faces in Yosemite National Park -- El Capitan on the left and Half Dome on the right. Our only views of an unobstructed Half Dome came on our drive into the park on the first day, and after this, it remained covered in clouds. 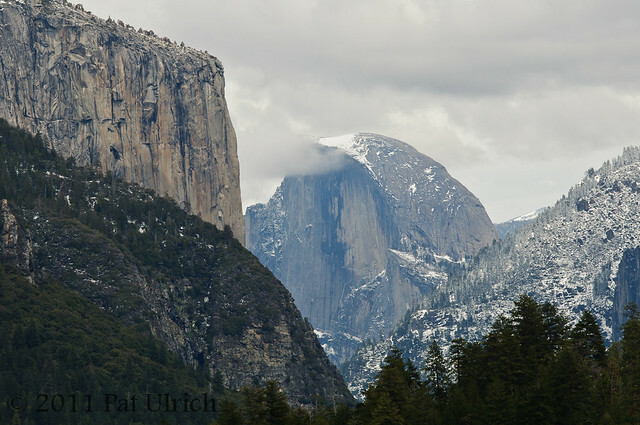 See more in my Yosemite Landscapes Gallery.